This giveaway ended at 12AM on Wednesday, June 01. 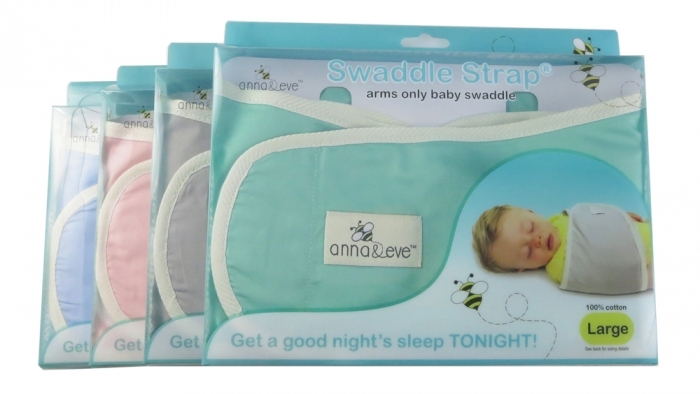 Also by Anna & Eve is the Swaddle Strap. It's an arms-only wrap that effectively swaddles an infant with the least amount of fabric. Perfect for summer time so newborns don't get overheated! Made of 100% cotton, fully adjustable and comes in two sizes. Choose from pink, blue, green or gray. This contest ended at 12AM on Wednesday, June 01.